Industrial Printing – Masson Inc. 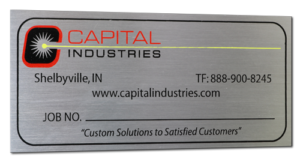 Thanks to our acquisition of Hoosier Badge in 2015, we now have the capability to bring additional customization to your business. With screen printing, sublimation printing, sublimation transfer, and engraving, we can enhance products we make for you or products that you provide. No design drawing? No problem. Bring us your part and we’ll sit down and talk about how best to serve your imprinting needs. With over 20 years of screen printing experience, Hoosier Badge has imprinted a broad range of customer supplied industrial and commercial parts. 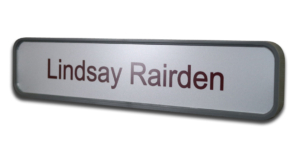 We have printed a variety of substrates including stainless steel, coated and non-coated aluminum, plastics, and glass. 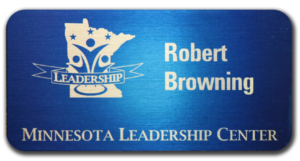 If your application requires an imprint to be etched directly into the part’s surface, we have you covered! With our years of engraving experience coupled with the multiple laser and rotary machines that we have available, we have the expertise and capacity to meet your marking needs. 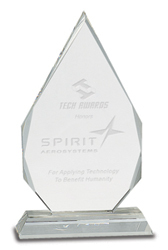 Engraving is a great method of imprinting parts made from metal, acrylic, glass and two ply laminate plastic materials. If the artwork for your part requires a full color image or has complex halftones, sublimation imprinting may be a good printing option. This process can be used if the part’s surface has been treated with a clear polymer coating. The sublimation process, using a combination of heat and pressure, encapsulates the image within the coated surface of the substrate.